EDITOR'S NOTE: The story below will no longer be updated. See the latest forecast for what could be a crippling, historic snowstorm here. 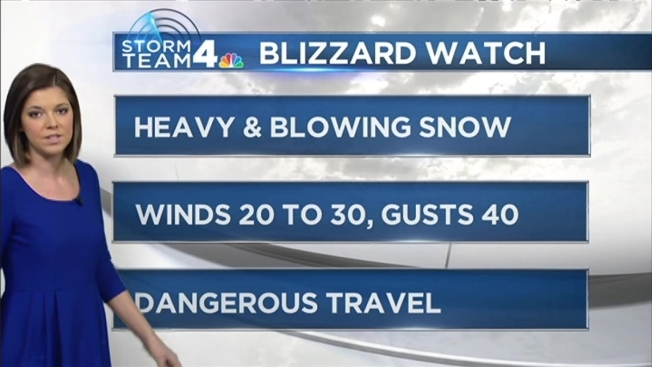 A blizzard watch has been issued for the D.C. area ahead of a storm that is expected to drop 10 to 18 inches of snow on the area this weekend. The watch will be in effect from Friday afternoon through late Saturday night, Storm Team4 says. A blizzard watch means conditions are favorable for a snowstorm with winds exceeding 35 mph. The heaviest snow is expected Friday night and early Saturday. Downed trees and power outages are possible. But first, Storm Team4 expects light snow -- from a coating up to one inch -- to fall around the area during the evening commute. A winter weather advisory has been issued for the D.C. area from 6 p.m. Wednesday until midnight. The frigid weather has already closed White's Ferry. The ferry, which connects Loudoun and Montgomery counties, closed Wednesday because of excessive ice on the river. Then, the main event: At the end of this week, 10 to 18 inches of snow could pile up in the D.C. area, and areas further west could see up to two feet of snow. The impact could be significant. Storm Team4 is expecting high drifts of snow, strong winds and frigid temps, with wind chills only in the teens. Storm Team4 is continuing to track the forecast. 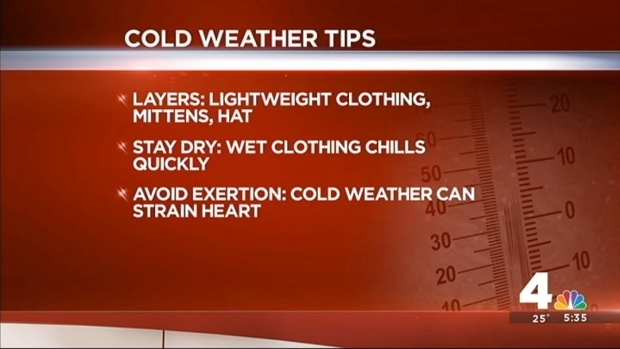 Doreen Gentzler has some tips on how to stay warm and safe in the cold weather. Download our free weather apps for iPad and iPhone. You can also follow us on Twitter and Facebook, and sign up for our email newsletters.